What's not to love about this very affordable country home with its pleasant setting and the panoramic views from atop of the knoll in New Marshfield. This home has been well maintained, 3 bedrooms 1.5 baths with a full basement and a built in the basement garage. Country living five minutes from Athens. This well kept home offers lots of woods for hiking. Spacious fenced end front yard for pets and ready to move in. Building has been well maintained and has great potential for many uses - Storage or Business - Your Choice!! 56 x 88 x 16 eave (4928 sf) - wood frame (Pole) with metal skin roof and wall panels. Concrete floor with drainage grate. Attached lean-to 16 x 60 x 10 eave (960 sf). Storage mezzanine 22 x 32 (704 sf). Office/storage 16 x 22 with half bath. 5 - garage doors. Good curb appeal with covered front porch and deep fenced lot! LR has newer laminated floor. Mantel is negotiable. DR has original wood floor and lovely built-in hutch. Kitchen has good use of space and has some updates w/storage hutch that doubles as a pantry. Laundry area and bath w/shower unit completes the first floor. Upstairs you will find 2 nice sized BRs w/original wood floors. 3 bedroom 1 bath ranch located close to Green Elementary and Gallia Academy. Features an oversize living room, formal dining room and a nice open kitchen. New metal roof in 2014. Situated on a level 1.3 acre lot with a storage building might be the place that you and your family are looking for. Live the West Side condo life. Currently rented to 4 tenants for $18,990 annually (about $1582 per month). Updates include a brand new stacked washer and dryer unit, and a newer refrigerator. Paint and vinyl flooring were re-done in 2015. This ground floor unit would be an excellent place for your OU student to live while finishing their degree. GROUND FLOOR four bedroom condo in University Commons, fully furnished with beds, desks, dressers, sofa, chairs, and kitchen supplies. Heat pump in this unit was replaced in 2016, and the washer and dryer were replaced in 2018. Property is currently rented to one tenant, whose lease ends May 4th, 2019. Starting your investments with a smart move. Currently rented for $936/month up through 5/1/19, this 3-bedroom, 1 bath ranch would be the ideal first rental in your arsenal. 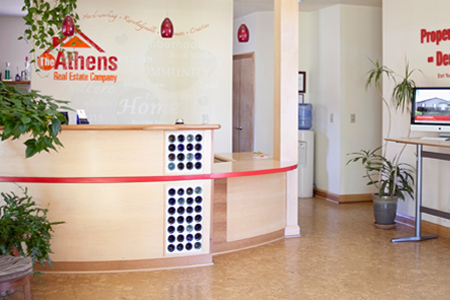 Grandfathered with the city of Athens Code Office to handle 3 unrelated individuals or a single family, this has been an ideal rent source for the owner for decades. So cute, you'll want to move right in. And you can! You'll love this 3 bedroom, 1.5 bath home near Nelsonville's Public Square, situated up off the street with a nice view of town. The large living and dining rooms have tons of windows to let in light, and the home has a big fenced yard for your furry friends. Four bedroom condominium at University Commons. Complete furnishings including sofa, chairs, tables, beds, desks, dressers, dining furniture, lamps, blinds, and wall-to-wall carpeting. Deluxe appliances including washer and dryer, dishwasher, refrigerator, stove, disposal, central heat and A/C. Housewares includes dishes, glasses, utensils, cookware, and cleaning tools. Nestled on an open 2.6-acre hillside corner lot, this home offers the freedom of country living, yet is conveniently located close to town. This 3 bedroom, 1 bath home offers a fully covered front and back porch with large windows that allow natural light into the living spaces, a carport and circular driveway for ease of access throughout all seasons, and a pool and outbuilding in the back yard. This lovely 3-4 bedroom, 1 1/2 bath home is located in the quaint Village of Amesville. The home is situated on a large private lot (3 parcels) with beautiful perennial gardens, a shady patio and a grand front porch overlooking the Village. The home has an oversized living room with tons of natural light, a spacious formal dining room, a kitchen and a half bath on the first floor. Only Need 1 Bedroom? It is now available in this deceiving cottage on the main drag in the Plains! Recently renovated bungalow plus a 2 mobile home lots! One is rented for $ 300.00 per month. Money Maker of commercial site. 125' X 120' - All utilities available - high traffic area and high visibility. Four Bedroom, 2 Full Bath Condo in University Commons. Fully furnished with Beds, Desks, Dressers, Sofa, Chairs and Kitchen supplies. 100% occupied-Renting for $400 per Bedroom per month. Appliances included: Fridge, Range, Washer and Dryer. Attached storage room. Tenants pay electric, cable and internet. Landlord pays monthly assessment fee of $383. Adorable single family home located on a large corner lot nestled up against Wayne National Forest. Many updates new furnace and hot water heater is 2016. New drywall and electric in 2017, New roof and Porch in 2018, Updated kitchen in 2019. There is a patio in the back of the house and a fire pit great for outdoor fun. Very large yard for entertaining or privacy. Hunting recreation land. 68 ac m/l 114,900 Call for more details. Mineral rights have been sold. Completely remodeled kitchen w/new flooring, cabinets, countertops and appliances to be chosen by buyer. Large, open (to kitchen) family/dining room, large living room with decorative fireplace (could easily add ventless logs), Main floor bedroom with huge closet. Full bath remodeled 2019. Upstairs are two very nice size bedrooms and attic storage. Popular second floor College Park Condo - currently rented to three tenants until May 2019 for $1075/month. Th perfect location for your OU student to live in and rent to a couple of friends. Condo features an open living room, dining area, and kitchen made for socializing. Then three bedrooms with closet space, including one large bedroom with a walk in closet and en suite bath. There is a "Red Oak" on "White Oak Road". Stunning 50 acres of woods and pasture with some Red Oak trees (I think). All minerals transfer - property lays on both sides of the road for privacy; this is really a sweet (gum) property just off St. Rt. 681 with Meigs County taxes. Property to be surveyed. Eight acres m/l within the South Central part of Nelsonville, on four parcels. There are two residences with separate utility connections from the city. A one story frame home with 1-2 bedrooms and a mobile home "as is" requiring some TLC. There is nearly 6 acres of pristine wooded hillside overlooking the city with paw paw trees, pines and various oaks. Nearly 50 acres of upland acres with great homesite and located close to schools in Hidden Hills Estates just a few minuets out of downtown Gallipolis...water and electric available to tap into! Great habitat for wildlife, recreation, and much more!!! Must see property. This 2003 Schult 28 x 66 doublewide home was converted into Real Estate. It is located on 1.8 acres +/- and features 3 spacious bedrooms, 2 baths, kitchen and family room with open space for entertaining. Also a 3 car garage with unfinished floor. Taxes and new parcel to be determined as the 1.8 acres +/- has been split from the original 15 acres +/-. 48.33 (m/l) wooded acres offers great hunting with multiple possible building sites. Close proximity to the Ohio River with easy access to the highway on all paved roads makes this a very desirable piece of hunting land. Electric is already on the property, waiting for you. 3800 sq. ft. of commercial building with 3 phase electric power that opens up more possibilities and located on the highly traveled W. Main St. in Pomeroy, Ohio. Property runs all the way to the river bank that allows you to possibly expand your thoughts and ideas for your business to incorporate the Ohio River. A little gem on the edge of town, near the end of a dead end street. You might just forget you're in a busy college town when you sit on this back deck overlooking the hillside lot. If you are looking for a starter home or investment opportunity, you will want to see this one. Enjoy your evenings out on the front deck, in the swing, or out on the back deck. This move-in ready 4 bedroom, 1.5 bath ranch home is located in a quiet neighborhood and offers a spacious kitchen, fenced in back yard, and storage building. Cash buyers take note! This awesome 2600+ square foot home has experienced slippage to the rear of the property and will likely require a cash buyer due to potential inspection and appraisal issues. But what a deal for someone who can take this project on, solve the drainage issues, and bring this magnificent log home back to its full glory. 28 acres to be surveyed before you take possession, but a lifetime of experiences to be had! If you're looking for some pristine land to build yourself a little hunting cabin or maybe lay down some permanent roots, this acreage is perfect for both! Check with the Athens County Health Department for questions about septic systems and utility information. Don't wait - get there now! I know you've been thinking about buying something to start or extend your rental empire!! This is definitely a great opportunity. Currently being rented as a 4 bedroom 2 bath home on the upper level and then as a 2 bedroom 1 bathroom home on the lower, set your prices and start making money immediately. Cape Cod style home remodeled in the last three months includes new roof with 50 year shingles, new siding, new flooring, new paint, upgraded kitchen with granite countertops, dishwasher, stove, refrigerator, new bathroom vanities and so much more. This 3 bedroom, 2 full bath house is located on a beautiful wooded 7 acre+ hilltop lot. The land is a mixture of rock outcroppings, woods, flat areas and cleared fields. Each time I visit the property I see more and more why it's the perfect location- privacy, nature, spectacular views and so much potential. Rare opportunity to live at the top of the county on a beautiful piece of paradise. The 24 acres m/- looks out over a beautiful view between the trees, yet as high up as it has level road access and you won't have a steep climb to get to the perfect home site. In fact there is already one easy-to-develop, level site with the drive cut in and the water tap reserved and paid for. Check out this nice ranch home outside of Albany. This is a big one, ten rooms, 5 bedrooms (3 on the main level and two in the basement. Aside from those two rooms in the basement, there is a family room with double glass doors to the outside. fenced lot and large outbuilding. Take a look & decide if it works for your horse(s). Looking to maximize your space but minimize your footprint? This is the house for you! Walking distance to uptown Athens and Ohio University, this house has everything you need. Simple 4 bedroom 2 full bathroom home on over an acre of beautiful green space. So close to town you can live large in this cozy raised ranch complete with a covered porch space and privacy galore. A carport that's currently used to store firewood. This all too rare Athens acreage stands above the rest, Literally! Sitting atop the hills of Athens you'll find 5.99 ac +/- of beautiful woods, just waiting for the home it deserves. This is your opportunity to build your dream home just minutes from all Athens has to offer, with a wooded property fit for the countryside. Completely updated and redone 3 bedroom, 2 bath home. Owner has installed all new kitchen with custom built Amish cabinets, granite tops and tile floors, updated bathrooms, windows, HVAC, metal roof, all new carpet, paint, doors and trim, plus a private fenced in back yard for your kids and pets. Centrally located in the Village of McArthur, this property offers an excellent business opportunity. 1,404 Sq Ft manufactured commercial building upgraded to state commercial code. 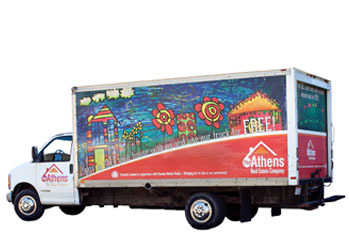 Has had several past uses including a hair salon, ambulance station and a medical office. Off street parking. Handicapped access. 1.1 miles from US33. 3 Miles from Athens and OU. High speed Internet. No zoning. High visibility on S. Plains Rd. Prime Commercial lot in a Hot Spot. With only three SR 35 interchanges in Gallia County, this Prime Commercial/Retail Lot has much to offer. Utilities available--AEP electric, Columbia Gas, Central Sewage, and water all available to this 1.1 ac m/l lot. Call for location and additional information. Great location on the Hilltop.Two story 2-3 bedrooms. 2 full baths. Open living/dining area. Nice level back yard. 3 off street parking spaces in back. Parking space beside of home. Wood floors upstairs. Carpet downstairs with wood floors under. Newer water heater and furnace/central air. Within walking distance of many attractions including city swimming pool. Conventional loan or cash. This gorgeous Meigs County Retreat is the complete package. Free gas from a private well, rolling hills, rock features, a large pond, and trails throughout. With abundant wildlife, this is the ideal hunting retreat. Adjacent 10 acres with a 3 bedroom home is also available MLS #2424129. Tucked away but near it all. You'll find this 2+ acre homesite nestled above Altamonte Drive at University Estates, offering both views and privacy from it all. This is one of the few spots left, and by far, one of the most unique. Check with the city for any building restrictions. This home is located close to the square in Nelsonville, Hocking Hills, OU and Hocking college! 4 bedroom, 1.75 bathrooms, large living room, dining room, open kitchen with breakfast nook and mud room off the kitchen that the back door leads to the deck and fenced yard!!! Main floor master suite with walk-in closet and bathroom. This is a must see! (Includes a second lot)Well maintained, 4 Bedroom, 2 Bath, 2 car garage attached, 2nd detached garage with potential for apartment or workshop above. New a/c unit installed in 2016. All new electrical 200 amp service with receptacles and complete grounded wiring. Also, new ceiling fans w/lights installed in the upstairs bedrooms. READY TO BE FINISHED, NEW CONSTRUCTION CONTRACTORS SPECIAL. This 2 bedroom, 1.5 bath home is waiting for you. Owner has constructed a new 1536 sq. ft. home designed with high efficiency equipment and sprayed in cellulose insulation making the home very efficient. Home is designed with a complete open concept with porches and decks around 3 complete sides of the new home. This 3 bedroom 1.5 bath home conveniently located within walking distance to the historic downtown square. Priced below county tax appraisal. This large 3-bedroom, 2-bath home sits on a corner lot in Nelsonville. The stunning archways lead you from the dining room to the spacious living area. Upstairs you will find 3 bedrooms with original hardwood floors along with a full bath. The detached garage allows plenty of room for you to park your car or turn into a workshop. Recent main floor updates - new air conditioning to be installed - new outside steps - new paint in all the offices - new fire system alarm for basement and office spaces - furnace repairs completed - new floor in bathroom. Downstairs office area consists of 8 rooms, 1 bath. Beautiful woodwork.... Nice corner lot. Offices are compliant with state regs. Everything you need located within a single level home for under $85,000! This 1998, well-maintained manufactured home is attached to a permanent foundation and is located in the Walnut Hill neighborhood in Glouster. Beautifully remodeled, yet warm and cozy. Interior totally renovated in 2018. Tongue and groove walls and ceiling. Beautiful eat-in kitchen w/solid top counters, cabinets, new appliances including stackable washer & dryer. Large living room. Bath has ceramic tile shower with bench. Both bedrooms have carpet, other rooms have ceramic tile. Middle area could be dining or office area. The two bedroom units at University Commons don't come on the market often. This unit features a newer heat pump/AC unit (2015), washer and dryer (2018) and comes fully furnished with beds, dressers, desks, sofa and chairs. Condo amenities include hourly bus service to OU campus, swimming pool, and fitness center. Over 10 acres of woods and even a small corner of pond! This 3 bedroom, 2 bath mobile home is located on a quiet road and beautiful country setting. Sit on the covered porch and enjoy your morning coffee or soak up the sun on the back deck. IN-TOWN LAND OPPORTUNITY!! 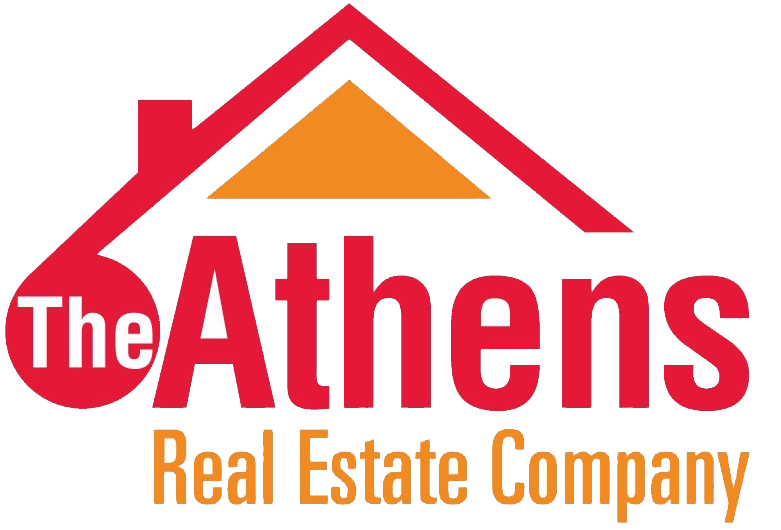 Located in the city of Athens this wooded 5.81 acre m/l setting offers endless potential!! Adjacent to Athens City water & sewer (ATO) and multiple zoning according to Athens City Code Office makes for lots of options. This is just what you have been waiting for!! Call today for additional information and aerial photo. Located only a few minutes from the city of Nelsonville and it borders the Wayne National Forest which is the home of the ATV trails. This property has many options for recreational buyers. Looking for that perfect piece of land? You know, the land everyone wants...close to town, a little space, gorgeous views and buildable. Here's your chance! This 6.493 acre parcel has a beautiful scenic hilltop view with a gentle slope perfect for a walkout basement. Electric, water and natural gas available according to owner. 5 acres & a ranch home for sale in Vinton County, Ohio. Located just a mile out of town is this great one owner home. The 5 acres is perfect if you wanna raise some animals, have a garden, or even do a little hunting. The home has 3 bedrooms, 2 1/2 baths, & a 2 car garage. There are 3 heat sources with a wood burning fireplace, baseboard heat, & a vent less propane heater. Wide open space and extra tall ceilings combine to make this space special. Take a look at this wide open first floor complete with laundry room and full bath with shower. You will walk through the loft area that could become a second floor sitting area or office to get to the three spacious bedrooms. Must sell this 2005 Clayton 3 bedroom, 2 bath ranch home on 3+ country acres. Peaceful quiet setting, where your only nearby neighbors are happy grazing cows. Enter into the living room with a cozy wood burning fireplace which opens to the dining area with a slider out to the back yard. This country location can't be beat! Take a drive down this ridge top road and you will see some of the most beautiful sunset views in all of Athens County! Just a few miles from town this house is perfect for someone who wants to be close to town but not deal with the hustle and bustle. This 2 bedroom, 2 full bathroom manufactured home is clean and well maintained. Beautiful spot to build your dream home or secluded cabin retreat! 9.992 acres m/l. A special piece of property located near thousands of protected acres in Wayne National Forest and Zaleski State Forest. Centrally located near Lake Hope State Park, Hocking Hills and the historical town of Nelsonville. Set your home at the top of the hill and be surrounded by woods. This building is located on one of the busiest corners in town. Would be a great place to start a new small business or move yours here. The outside has been redone and updated. The inside is ready for your remodel. All utilities are on property. Could use all for business or business and room for a small apartment, firewall is in place to do this. 40 acres located on Clipner Road in western Vinton County on the Ross County line. This location is very secluded and would be a great place to build your own hunting camp or dream home. A classic beauty in Jackson. Check out this traditional two story home . . . loads of room, and large ones too . . . nice private patio and summer kitchen in back. Samples of the character of this home will be found in the stairway in the foyer, claw foot tub and mantels. Big, big attic for storing your off season goodies. This is a Fannie Mae HomePath listing. Clean and cute ranch home with great view and privacy and just a bike ride or walk away from town all on one floor featuring beautiful kitchen with ample solid oak cabinetry, two living areas plus a screen/glass (heated) enclosed porch on the back of the house. Seller is paying for one year home warranty at closing for the purchaser. This is a must see and won't last long at this price. Nice, in-town home close to the school and Star Mill Park. This home features a wrap around porch, new 30 year shingle roof, newer double pane windows throughout, and a 30X30 detached 2 car garage with attic storage, electric and a gas space heater. 3-4 bedrooms, 2 baths, tons of storage space. Nice location downtown close to schools and shopping. Recently power washed and painted with some updated landscaping as well. New sump pump installed, also have removed carpets in multiple rooms, exposing and restoring the hardwood flooring. Will make a wonderful home close to all amenities. Totally remodeled 4 bedroom, 1 bath home! New flooring in the kitchen and bath, New kitchen cabinets, new carpet in 3 bedrooms. PRICE REDUCED! This is a great investment property! Live in the main house and rent out the other 2 houses to pay your mortgage! The main house has 3 bedrooms, 1 1/2 bathrooms and a partial basement. One rental has 1 bedroom, 1 bath, 576 sq/ft and can be rented for $350. The other house has 1 bedroom, 1 bathroom, 436 sq/ft and can also rent for $350. The main house could be rented for $550. Commercial building conveniently located with easy access to US SR 33, bordered on one side by the Moose Lodge and the other by a sizeable apartment complex. This commercial opportunity is in an ideal location for the right investor. This 4 Bed room home is ready to move into, all you have to do is call and set up a showing, and your on your way to becoming a new home owner in 2019 !! Yippi Yes its that easy. This home has a nice easy yard to maintain. 2.69 ac. m/l with 2 income producing mobile homes plus a 3rd mobile home (not owned) that pays lot rent. Located off May Ave in Chauncey and not in the Flood Plain. Total income for the property is $1079 per month with annual income of $12,948. Property has public water and sewer taps already installed. 2 BR Cottage on 3.5 Acres in the Country, just waiting for your Year Round Retreat, or that Special Seasonal Get-Away. This is a solid built cottage, with a 5 year old Metal Roof. Enjoy the Country setting from your front or back deck. Efficient kitchen leads into a cozy Living room. Just down the hall, you will find 2 nice sized bedrooms, a full bath and a Laundry Room. Level to rolling topography. Several building sites. Nice views of the country side. Currently used as a hay field. Public water and electric available at the road. Mineral rights are negotiable. Pristine 3 Bedroom, 2 Bath mobile home has 8 foot ceilings and was installed just last October. This 4 bedroom, 2 bath home is much larger than it looks. As you open the front door, you'll find a large open living room with expanded sitting area, a master suite with private bath, and a sunken room that would make an excellent office. As you continue on, you'll find another large family room, eat in kitchen, full hall bath and nice size bedroom. Upstairs are 2 nice bedrooms. 3 building lots together being sold as package. Located in the consistent quality subdivision of Northpoint - this is an incredible opportunity to build your new home in a most convenient spot already with proven value. Utilities available, come see what makes living at Northpoint so great. Property is broker owned. 1900's one level bungalow style home with high ceilings, lots of light and spacious rooms is looking for a new owner to perk it up with modern touches. Tall closets and pocket doors, add to the charm of this period home. The kitchen has natural light and is large enough to accommodate an island or a farm house table. This home is on 2 lots with a rear 2 car concrete parking pad off the alley. Price reduced Seller wanted sold.Nice house with a flat backyard in a convenient location. This sectional home on a permanent foundation has a lot to offer with a nice eat in kitchen, 3 bedrooms and 2 bathrooms. The spacious master bathroom includes a large garden tub. Two apartment unit consisting of one 2 bedroom unit and one 1 bedroom unit. 2 Bedroom unit is currently rented for $575/ month, including the garage and is rented until May 2019. Newer furnace.One bedroom apartment is rented for $300 per month on a month to month basis with a 90 day notice to vacate. 24 hour notice to show. Older 2 story farmhouse with 4 bedrooms 2 baths new Anderson windows and new metal roof on 2 50x100 lots in Carpenter Ohio Alexander schools Columbia Twp. Great location on Cherry Ridge. 2 miles from the University of Rio Grande. County water and electric are available. Mature trees including some timber. Several building sites on the property. This hillside property overlooks the Ohio River. A fixer upper with just the right amount of vintage charm, this 2 bedroom, 1.5 bath home offers a fully covered front porch for enjoying river views throughout the seasons, hardwood floors, cedar closet, and updated appliances. This property has so much potential and is perfectly positioned near the Pomeroy bridge, with ease of access to Mason, WV. This is a great opportunity to own a 'Nature Preserve'. There are only several building lots for sale in this well established, upscale neighborhood. The Mallards Landing and Walden Woods subdivisions were designed with the nature enthusiast in mind with protected 'Nature Preserves', large lakes and beautiful rolling hills. This three bedroom, one and a quarter bath home has an extra large lot with room to stretch out, and sits across from an open field. There is also a two car garage and extra storage shed for all your favorite things. The home needs a little TLC, but would make a nice beginner home for someone who is handy, or could be a great opportunity for a rental. Motivated seller. Two houses being sold together on the same lot. Seller is selling the 2 bedroom, 1 bath doublewide along with the building behind that was once a church but turned into a residence. Front house comes with an open living and dining plus efficient kitchen, along with 2 nice size bedrooms with full hall bath. This 3 bedroom, 1 bath home is just perfect for the person who loves nature, country living yet the convenience of being minutes from the villages. Situated just off SR 7 on 143 with a country setting. Newer metal roof and move in ready!!! Natural spring on property. New water line from tap to home 2014. Electrical upgrade 2010. Now Available!!! There are only several building lots for sale in this well established, upscale neighborhood. The Mallards Landing and Walden Woods subdivisions were designed with the nature enthusiast in mind with protected 'Nature Preserves', large lakes and beautiful rolling hills.